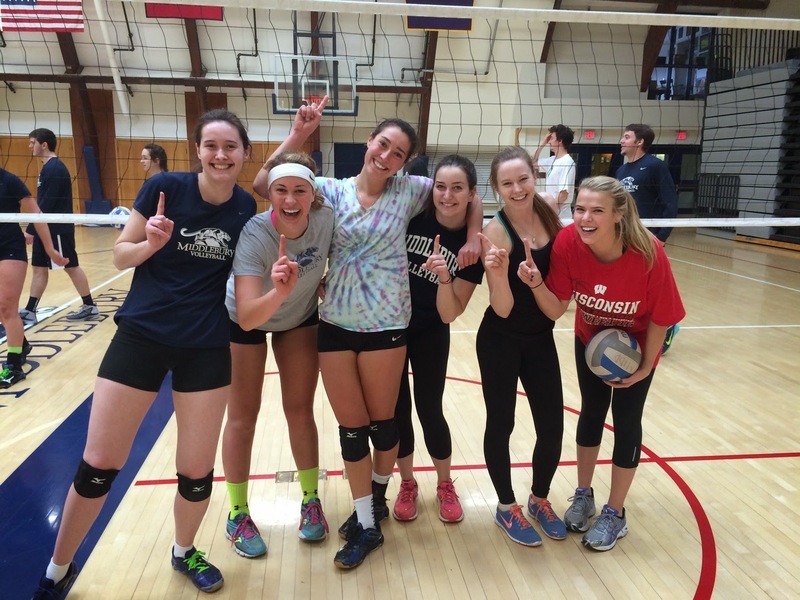 We ran a 4v4 tournament this past weekend in the gym for the second straight year, and it was a success by all accounts. There were over twelve teams signed up, but there were a few no-shows at GO time, so there were a total of 9 teams vying for the coveted championship. The prize, you might ask? Bragging rights, I believe! Not everyone took a picture of their team, but I did get one from the winners, so congrats to them!! Nice job to everyone, and I'm sorry I had to miss it. I was off recruiting at the NEQ, where I've seen several of these players play before. As a matter of fact, I saw Lizzy several years ago now, and last year I was on the same flight down to Philly as Lauren, who was traveling down to see Gigi play. 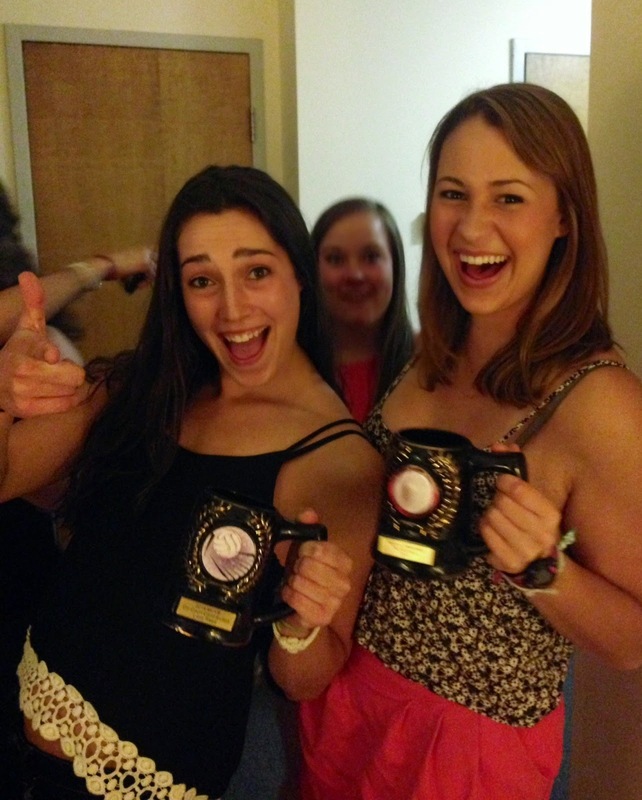 The picture to the left is Kathryn and Lizzy sporting their MCVB award Mugs. I think they were cheering their victory?! Whoever picked those out for you sure knew what they were doing. Those are styling mugs!! Congratulation! I read what you have written. By read this I can say that you really work hard to win the volley ball match. Excellent article. Way to go!